Serving as a mediator can be one of the most satisfying and challenging roles in a person’s life. It is extremely rewarding to know that you were instrumental in the true resolution of someone else’s conflict. It is challenging, not only because the skills are difficult to learn, but because while the need for mediation is great, the market demand for professional mediation services is still very low. This means it is quite difficult to make a living doing only mediation. The few who have become successful have gradually increased their caseloads over a period of many years. Most also started out with at least a potential source of cases from their profession(s) of origin. Fortunately, mediation is not strictly a professional calling. People from all walks of life can and should become mediators. These mediators apply their skills not only as volunteers in Dispute Resolution Centers, but in their everyday lives as parents, board and committee members, supervisors, employees, teachers, counselors, neighbors, and as citizens in a democratic society. While it is assumed that those who pursue mediation as a profession are generally expected to demonstrate higher qualifications and the ability to handle more complex kinds of conflict, there is plenty of basic conflict work for everyone. Human conflict is a normal part of life, and it is everywhere; yet most people have been ill prepared to manage it successfully. The Washington Mediation Association therefore recommends basic conflict management training to everyone. 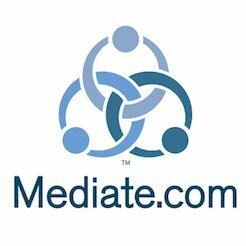 Mediation training is appropriate for those who want additional skills or whose jobs require them to be proficient in handling disputes involving co-workers, clients, or the general public. For a list of WMA member trainers, go to the Find A Mediator page, uncheck all of the boxes except “Training,” and click on Search. WMA makes no warranty regarding the quality of services provided by any listed practitioner or organization. Learn more about conflict resolution courses of study at the university level. The mission of the Washington Mediation Association is to advance the use of mediation as an effective form of alternative dispute resolution; to foster high standards of mediator conduct, training and certification; and to be the voice of mediators in Washington State. WELCOME TO THE NEW WMA BLOG!